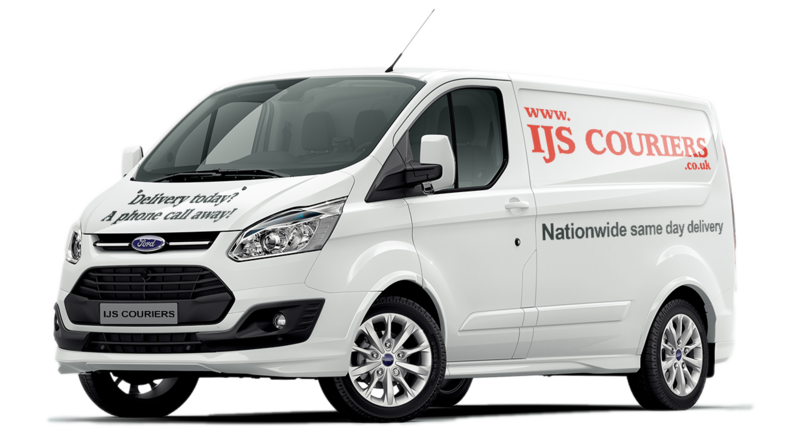 IJS Couriers - Nationwide same day courier service based in St. Neots, Cambridgeshire. We are a small but flexible family-run courier company based in St. Neots, Cambridgeshire, who specialise in Nationwide, Same-Day and Next-Day delivery services. We mainly deliver to the UK, although we do make the occasional trip across the channel. IJS Couriers' team of trusted drivers have been safely transporting deliveries across the length and bredth of the UK for 17 years. We take the time to fully understand your needs and will do everything we can to ensure your delivery arrives safe and on time. Our fleet of vans ensures that we always use the appropriate vehicle for the job, making sure your delivery is transported in the safest way possible. Our extensive knowledge of UK roads means that we reach our destination even if the Sat Nav fails. We pride ourselves on our friendly team who will always greet you with a smile. We know that urgent deliveries can sometimes be stressful and our team are there to help put you at ease. Got a Parcel to send? Get in touch today and let us take care of it for you! We are proud of the broad range of companies we have had the privilege to work with over the years. We take the trust that you put in us incredibly seriously and constantly strive to ensure a happy customer. We can deliver to anywhere in the UK and can provide a suitable vehicle to accomodate the load. Your items are treated with the utmost care and our drivers maintain a high standard to ensure a professional approach at all times. We can transport loads up to 1500kg and will always work unsocial hours to ensure a timely delivery. All of the businesses in TheBestOf have been recommended by local people, so we're really proud to be included there. If you want to read more of our user-submitted reviews then take a look at their website. Based in St. Neots, Cambridgeshire, we are perfectly situated to travel anywhere in the country. Just two miles from the A1 / A14 interchange, we can quickly set off in all directions, making sure your delivery reaches its destination in the shortest time possible. ©2015 IJS Couriers. All Rights Reserved. Same Day and Next Day Courier Service based in St Neots, Cambridgeshire. Delivery today? A phone call away!